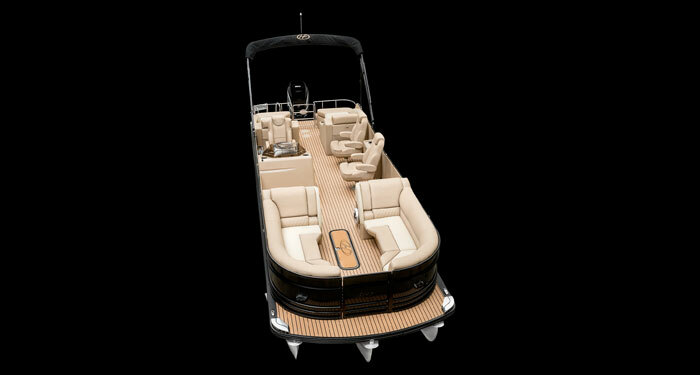 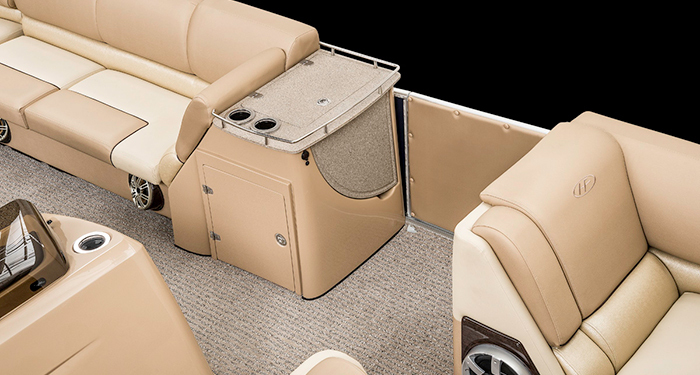 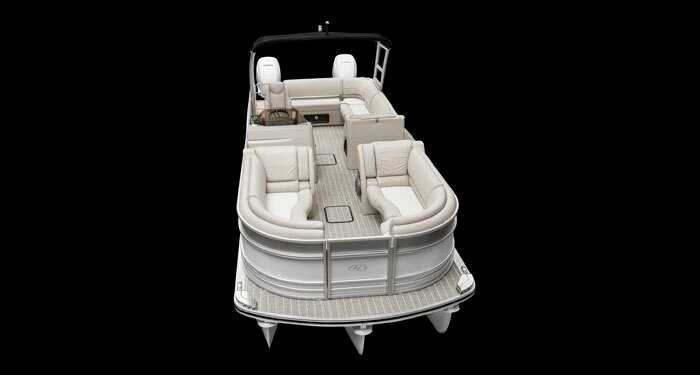 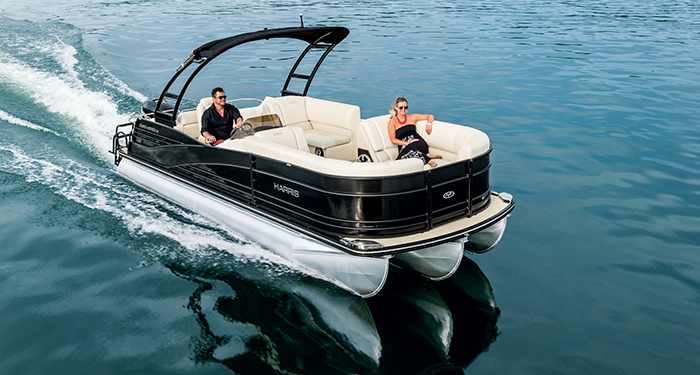 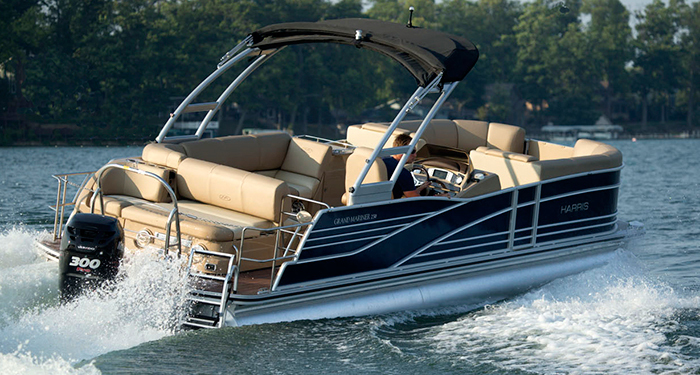 The Grand Mariner Pontoon Boat Series is celebrated for its variety of personalised options. 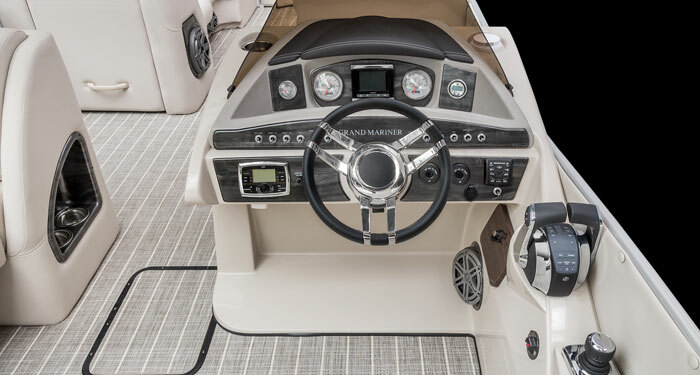 This is apparent when you see the Grand Mariner 230. 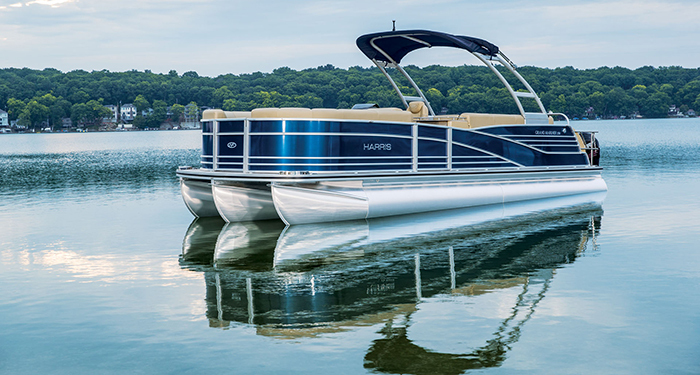 This solid performer provides the reliable, smooth handling and multiple power choices you would expect with a water-sports pontoon, but this is also a luxury pontoon, with plenty of space and elegant appointments for cruising and entertaining. 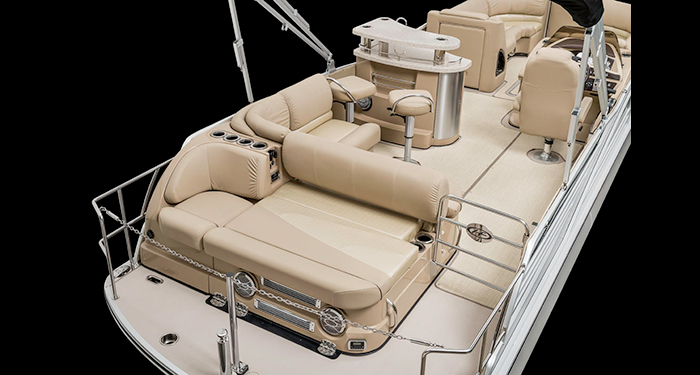 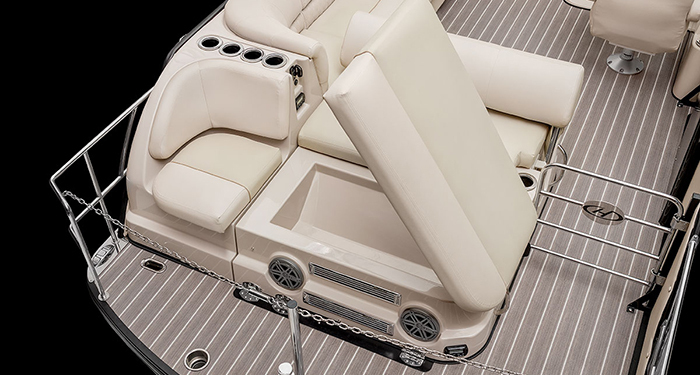 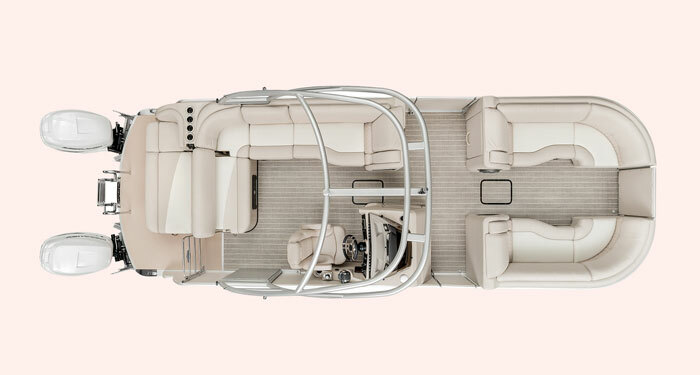 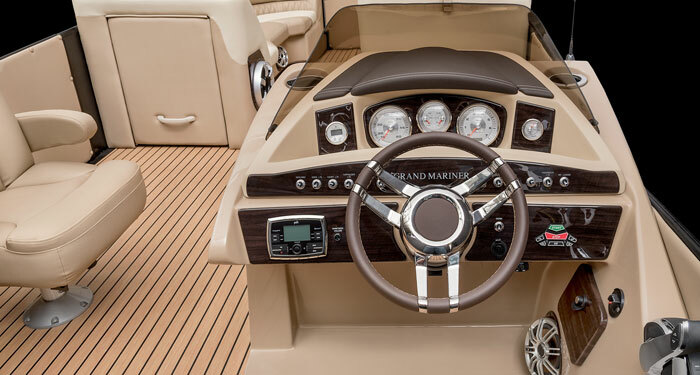 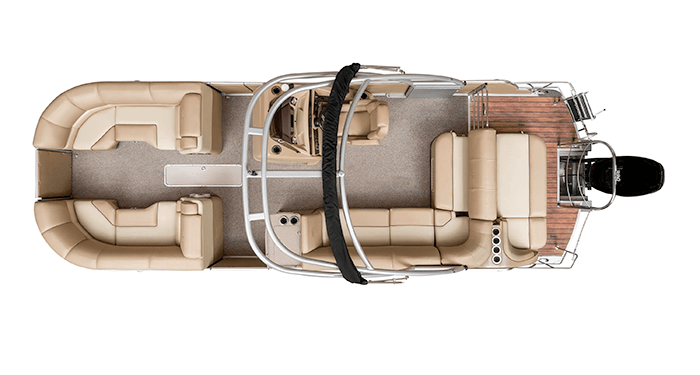 The SL floor plan provides two lavish bow lounges, amidships lounge, UltraLux high-back reclining helm seat and single rear-facing lounge with flip-top backrest. 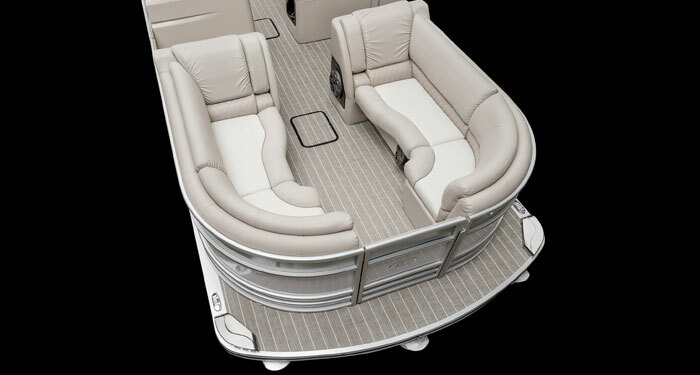 In contrast, the DL floor plan has two rear-facing lounges with stereo remotes and a 12V outlet, offering centerline access to the large swim deck. 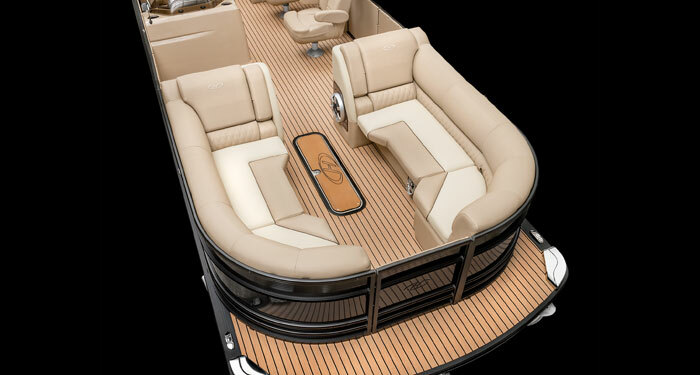 Furthermore, you can replace the portside bow lounge with two UltraLux seats and a flip-up table. 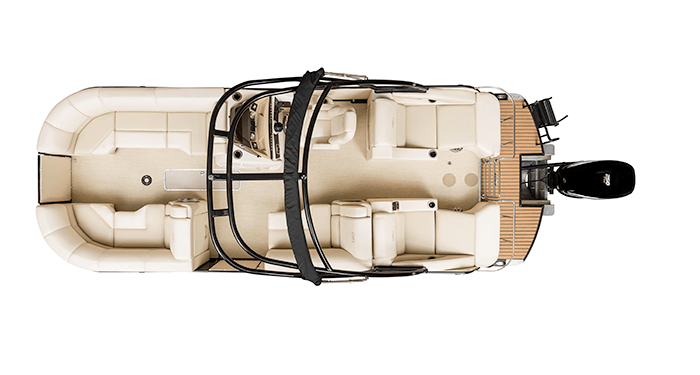 The 230 boasts plush, thick-foam cushions with soft-touch vinyl, six-speaker Polk stereo, woodgrain table and large 12-foot Bimini top. 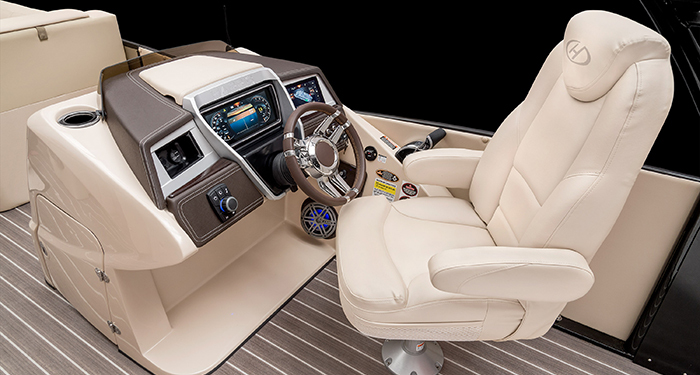 You can also select upscale stereo and speaker upgrades, fishing electronics, performance packages, and water-sports amenities. 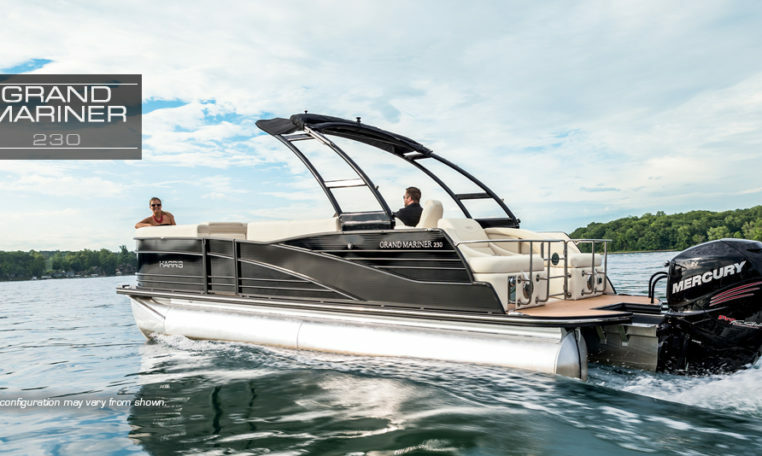 When you’re done, this pontoon will truly be your own.